KINSHASA, Congo (CNS) — Congolese President Joseph Kabila expressed support for Catholic bishops’ efforts to mediate a constitutional crisis after he extended his term in office. On Dec. 5, Kabila met with Archbishop Marcel Utembi Tapa of Kisangani, the bishops’ conference president, and Bishop Fridolin Ambongo Besungu of Bokungu-Ikela, conference vice president. Kabila reiterated his respect for the constitution, urged calm among all groups and told the bishops to be sure to have authenticated working documents from all political and social parties involved in any negotiations. In a Dec. 2 statement, the bishops had warned of chaos if government and opposition leaders fail to agree to a timeline for elections, and they reiterated their commitment to help arrange a compromise. “Despite all divergences, we believe a political compromise is still possible if the main parties get involved and prove their goodwill around the table,” the bishops’ conference said. The bishops’ statement was published as opposition groups prepared for mass demonstrations Dec. 19, the date Kabila was to have left office. On Nov. 17, Kabila appointed an opposition member of Parliament, Samy Badibanga, as premier of a national unity government, which will be tasked under an October accord to organize presidential elections in April 2018. However, other opposition leaders have insisted that Kabila cannot stay in power beyond his second and final term. A source familiar with the negotiations called Kabila’s Dec. 5 meeting and statement a victory for the church. In August, the bishops’ conference launched a mediation bid after opposition leaders accused Kabila of seeking to delay autumn elections. The bishops withdrew from a national dialogue in October, after Congo’s electoral commission claimed voter lists had not been updated. In their statement, the bishops said talks had shown there were “many points of convergence” among the main political factions, but still differences over “understanding the concept of respecting the constitution” and “finding a political compromise.” They said unresolved issues included financing of the election process, the independence of electoral officials and the functioning of institutions during the transition. 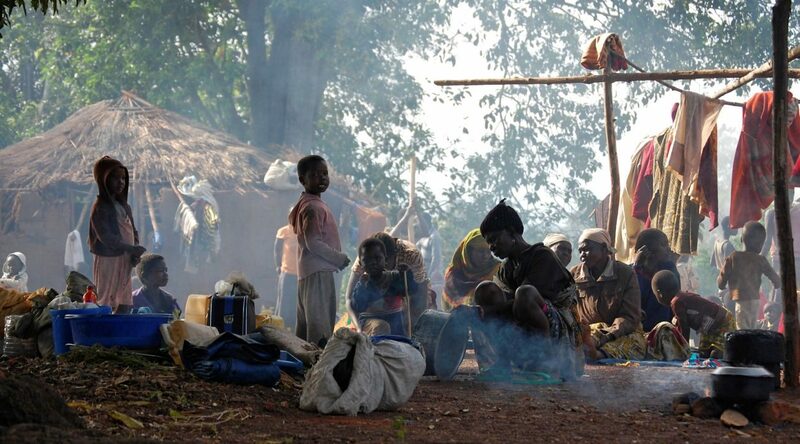 Catholics make up about half of the 67.5 million inhabitants of the mineral-rich Congo.